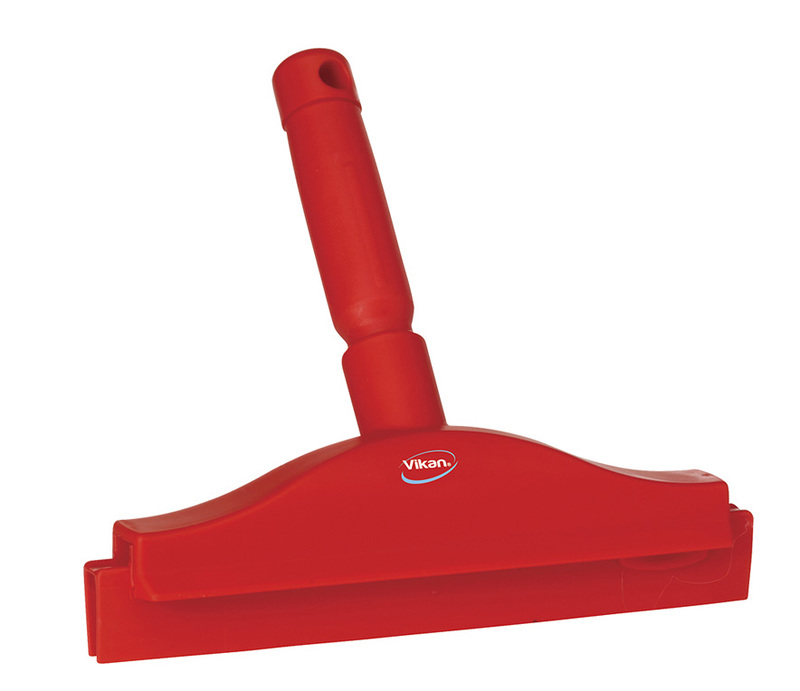 Squeegees Double Blade Squeegee 10”The small bench squeegee is ideal for drying surfaces after a sanitizing process or for pushing food from one area to another. It is very effective in dry production areas. The double rubber blades are non-porous and easy to clean. The cartridge system blades can be removed for easy cleaning and replaced when worn out, making the model a very economical hygienic option. 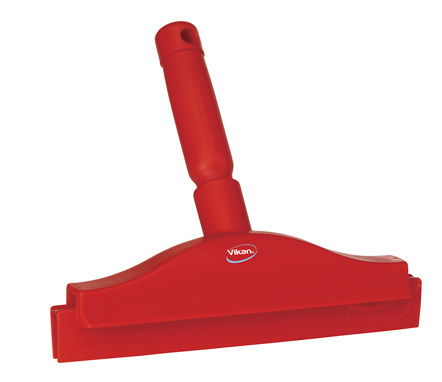 Replacement Squeegee Blade: Series 7731.